There was no better way to celebrate Grammy’s weekend than with my best friend who happened to be in town from San Francisco and with the delicious food and amazing drinks at BOA Steakhouse West Hollywood. 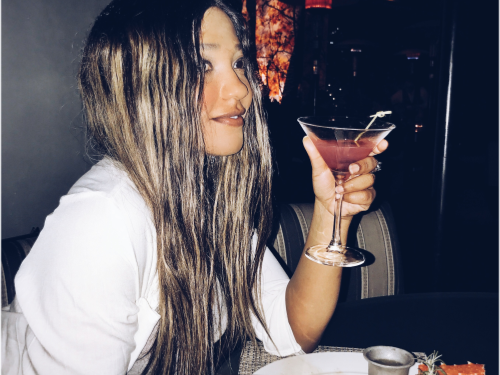 That’s why I wanted to share with you three reasons why BOA Steakhouse is my new go-to restaurants for special events, cozy intimate dinners, and just catching up on cocktails with friends. Ready for a decadent night of dining and drinks? Then head over to BOA Steakhouse and let me know how your night goes! Don’t forget to join them on Instagram, here. The moment you walk into BOA Steakhouse you’re automatically transformed into the mood for luxury dining experience. The music is perfect with great lighting, a friendly staff, and an aroma of decadent food in the air. The menu is endless from premium steak, oysters, crab legs, ribs, and perfect sides from mashed potatoes, asparagus, veggies, scallops, and more. Everything was seasoned to perfection. Plus, the surf and turf options are to die for and I can’t wait to go back and try everything else on the menu, especially the desserts. My favorite was the BOA Infusion Signature Cocktail that literally tastes like a delicious watermelon jolly rancher in a glass. My other go-to cocktail was the Clean Cocktail, which is a smoother version of a mojito with mint and cucumber. My bestie loved the Old Fashioned and also got the dirty martini, extra dry with blue cheese olives - and of course, I tasted on his cocktails too. I’m looking forward to trying the Blackberry Smash the next time I swing by.